Berwins Salon North is back with its winter series of TED-style talks set to fire up hearts and minds. Presenting big ideas and answering key questions in life, three expert speakers in the first Salon address the theme ‘The Secrets of Success’ on Thursday 29 November. First to take the stage is the award-winning Associate Professor of Strategy and behavioural economist at the University of Warwick, Dr Chengwei Liu. When it comes to unlocking the secrets of success, Dr Liu has run the numbers and cracked the code. His research in to what it actually takes for phenomenal success has won worldwide coverage, from the BBC to the New York Times. He’ll reveal the number one and most over looked factor to ensure your limitless success. Bobby Duffy’s book, The Perils of Perception, was dubbed ‘mandatory reading’ by the great Steven Pinker. No matter how educated you are, he suggests you are likely to be very wrong indeed when it comes to basic facts about the world around us – and ourselves. Informed by exclusive research across 40 countries, conducted by global polling firm Ipsos, the Director of The Policy Institute at King’s College London asks how we can address our ignorance in a ‘post-truth’ era. Promising to transform the way you engage with the world, Duffy will explain why we all have a gap between our perceptions and reality – and what we can do about it. Angela Cox is a superstar author. Her book Enough is an intelligent, honest and passionate look at how subtle changes can be made to enable our most successful life. Whatever we want to achieve, whatever is holding us back, Angela will bring inspiration by the truckload. She’ll explain how to change your mind-set and incorporate daily changes that can get you on the path to where you want to be. All you have to do is decide how you define success. Berwins Salon North is one of Harrogate’s most sought after tickets after the Salon was voted as number six in the ‘Top 100 Things to do in the World’ by GQ magazine. 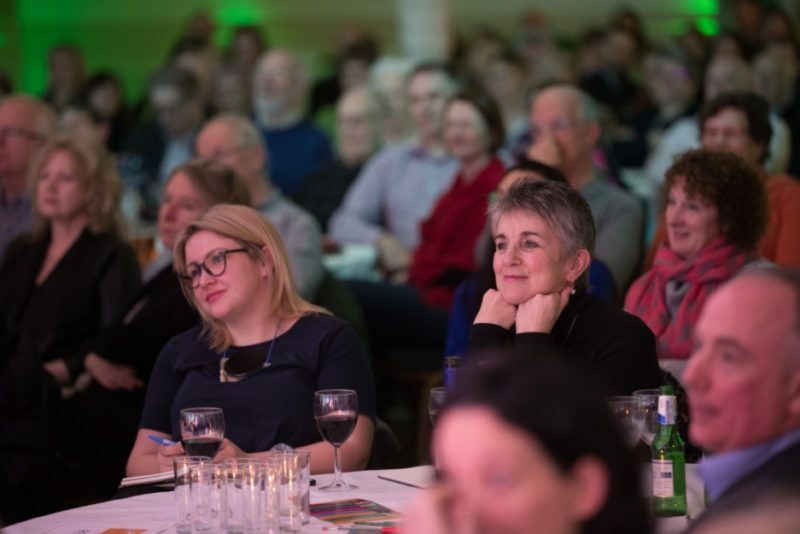 Hosted by Harrogate International Festivals, the series consists of a cabaret-style night of the most stimulating ideas designed to change your life for the better. The second in the Berwins Salon North series takes place on 24 January focusing on the theme, What Matters Most. Secrets of Success, Thursday 29 November, 7.30pm at The Crown Hotel. Book online here or call the Box Office: 01423 562 303.